How long does it take to build an in-ground pool? “I need to get in touch with the best pool builders in Houston.” This thought often pops after conceptualizing about digging up your own backyard swimming pool. However, the anxiety of having the pool set up in the shortest time possible is daunting. This may be due to the need of having a competent team of contractors and builders working on the project. 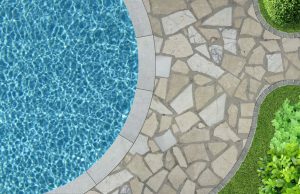 It Is on this premise that WE, TLC pool builders, seek to give a tentative guideline, observing top-notch quality, on the time taken for construction of an in-ground swimming pool. Swimming pool designs are diverse beyond your wildest imaginations. That said different designs take different time to be completed. There are three common types: vinyl, concrete, and fiberglass. Concrete or gunite type of swimming pool takes up the longest time to construct amongst the three. This is due to the “curing” process after application of shotcrete and gunite. This takes between 28 and 30 days; thus, clients are urged to be patient for a durable pool. We emphasize that TLC builders take pride in adopting the latest technology and material that shorten curing time. Apart from curing, concrete pools require finishing and polishing for a sparkling surface. Cumulatively, it takes 45 to 76 days to construct. There are three types of vinyl namely: cement wall, steel wall, and vinyl wall. Approximately, the time for installation would be between 2 and 3 weeks. Regardless of the form, they all integrate the Vinyl liner. Fiberglass pools come in a prefabricated model that is just carried to the site awaiting insertion. This is the reason why this type takes a shorter time to put in place. Overall time is between 14 to 30 days. If you intend on having an on-site built swimming pool, weather conditions and season play a vital role. During the winter and rainy seasons, the time of construction is longer due to the slow drying process. Hence, it is advisable to start construction works during summer. In the pool construction projects, it is inevitable for developers to comply with certain guidelines. This is also the case in building pools whereby owners have to notify authorities. It is after this stage that a permit is granted for commencing of the project. After completion of the in-ground pool, local authorities are obliged to visit and inspect the site. The record for TLC pool builders speaks for itself with all projects having met set standards. Moreover, the company also adheres to construction requirements to the letter. This shows you how much we value quality in our output whilst saving on time. For those with the habit of reading the summary to get the gist of an article, here it is: For any potential customer out there, it is prudent that you do your homework. Dig in deep in the available swimming pool constructors portfolio to shortlist the most qualified hands available. Secondly, insist on the expert visiting the ground site and draft up a report with key findings and envisioned solutions to the challenges that might possibly arise during and after the construction of your swimming pool. Finally, choose the best pool builders who can deliver the best construction and design services to build your dream swimming pool. Call TLC Outdoor Living today and speak with seasoned pool builders.